I'm pretty sure this is Phryganidia californica (was in family Dioptidae, now is in family Notodontidae according to this page). 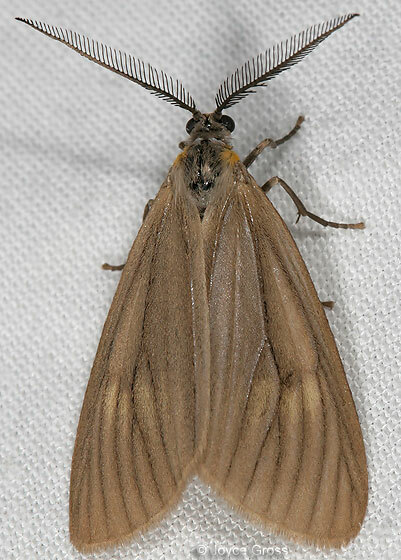 See http://www.butterfliesandmoths.org/species?l=3609 for pinned specimen photo & distribution map. There is a nice photo of a live moth in Haggard & Haggard's Insects of the Pacific Northwest (1).